“Now that we know that genetic variation underlies spot pattern variation in giraffes it should be possible with the aid of the giraffe genome sequence to discover the specific genes that determine spot patterns.“ noted Douglas Cavener, Professor of Biology and Verne M. Willaman Dean of the Penn State Eberly College of Science, and coauthor of the paper. Lee said, “My hope is that other scientists will use the same tools to measure the traits of complex mammal coat patterns and this will advance our understanding of what these patterns mean.” Giraffes are vulnerable to extinction with a 40% decline over the past few decades. 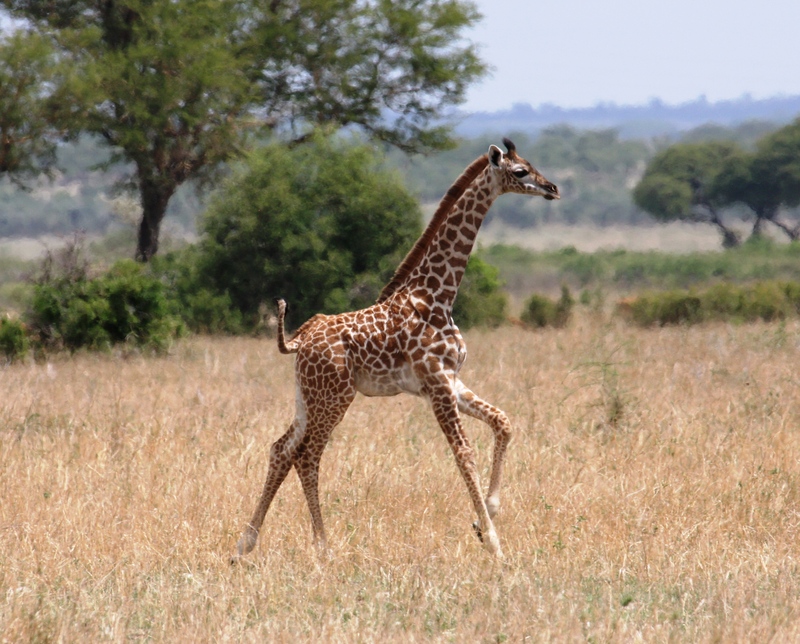 The Wild Nature Institute is running the world’s largest giraffe research project in northern Tanzania, and their results are informing species conservation and the field of evolutionary ecology. Giraffe calf in Tarangire, Tanzania.